Daniel 10:13 But for twenty-one days the spirit prince of the kingdom of Persia blocked my way. Then Michael, one of the archangels, came to help me, and I left him there with the spirit prince of the kingdom of Persia. Daniel 10:21 but first I will tell you what is written in the Book of Truth. (No one supports me against them except Michael, your prince. Daniel 12:1 "At that time Michael, the archangel who stands guard over your nation, will arise. Then there will be a time of anguish greater than any since nations first came into existence. But at that time every one of your people whose name is written in the book will be rescued." Jude 1:9 But even the archangel Michael, when he was disputing with the devil about the body of Moses, did not dare to bring a slanderous accusation against him, but said, "The Lord rebuke you!" Rev 12:7 And there was war in heaven. Michael and his angels fought against the dragon, and the dragon and his angels fought back. Archangel Michael is the most highly mentioned angel in the Bible. These are the five passages in which he was mentioned. We see in Daniel 10:13 that Michael protected the prophets in the Bible. Michael answered the requests of God, and did not act on his own accord. In Daniel 10:21 we see that Michael is the only one who supports Israel in war. And that's certainly all the help they'll need! Michael also delivers great trouble to those whose names were not written in the book of truth. Michael was also a messenger of God, delivering his messages to humanity. A wonderful passage in Jude talks about Michael coming for the body of Moses when the devil sought to defile it. Some suspect that Archangel Michael is actually synonymous with Jesus Christ but there is little evidence of this. Finally in Revelation 12:7 we see that in the final battles of the end times Michael leads the angels in war against Satan and his angels once again. Luke 1:19-20 The angel answered, "I am Gabriel. I stand in the presence of God, and I have been sent to speak to you and to tell you this good news. 20 And now you will be silent and not able to speak until the day this happens, because you did not believe my words, which will come true at their proper time." Luke 1:26-28 In the sixth month, God sent the angel Gabriel to Nazareth, a town in Galilee, 27 to a virgin pledged to be married to a man named Joseph, a descendant of David. The virgin's name was Mary. 28 The angel went to her and said, "Greetings, you who are highly favored! The Lord is with you." Daniel 8:15-17 While I, Daniel, was watching the vision and trying to understand it, there before me stood one who looked like a man. 16 And I heard a man's voice from the Ulai calling, "Gabriel, tell this man the meaning of the vision." 17 As he came near the place where I was standing, I was terrified and fell prostrate. "Son of man," he said to me, "understand that the vision concerns the time of the end." Gabriel was the angel charged with informing various prophets about the birth of Christ. Gabriel was obviously a messenger of God and loyal to him. In a lot of Christian lore Gabriel is considered the second most powerful angel and a lot of speculation is made but I like to stick close to scripture. Gabriel got to tell Mary that she would bear Christ, which must've been a very exciting task indeed! In Daniel we see Gabriel interpreting visions. We also learn from Daniel that angels can appear in our visions and dreams. Angels don't mince words and they're not very verbose. They say exactly what they must, then depart. It's also very fascinating that as soon as Daniel prayed for understanding Gabriel arrived. There is no wait sometimes for prayers to be answered. The Lord is swift in his responses sometimes! 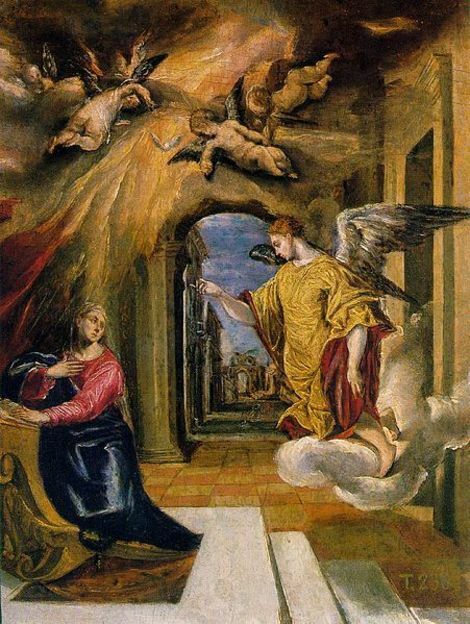 Tobit 12:15 "I am Raphael, one of the seven angels who stand ready and enter before the glory of God"
Enoch 10:4-6: And again the Lord said to Raphael: 'Bind Azazel hand and foot, and cast him into the darkness: and make an opening in the desert, which is in Dudael, and cast him therein. And place upon him rough and jagged rocks, and cover him with darkness, and let him abide there for ever, and cover his face that he may not see light. And on the day of the great judgment he shall be cast into the fire. Raphael was not mentioned in the canonical Bible. He was mentioned only in the book of Tobit, which is part of the Apocrypha. Some Bibles do include the Apocrypha, but not a lot at this point in history. Catholics and Orthodox Christians generally consider the book of Tobit to be canonical. Lutherans consider Tobit helpful to read. Raphael is also mentioned several times in the book of Enoch which is not even part of the Apocrypha. It is generally considered non-canonical, but an interesting resource non the less. In Jewish lore Raphael is often portrayed as a healer. However from non-canonical scripture we see that Raphael appears to be a sort of warrior and servant of God in all things. We see that Raphael is part of a quire of seven angels who are very close to God. There is a lot of lore and mysticism related to the quires and what they mean, but as far as scripture it's fairly mysterious. Many things will be revealed in the next life.